In a nutshell, this device is basically the coolest electrical relay I have ever seen! Functional Devices and others have all kinds of other electrical relays. But, what makes this particular product so cool is it's versatility! If you need 208 - 277 VAC for the input coil, consider the similar RIBH1CW. See the spec sheet for the full list of contact ratings. Physically, this relay is mounted in it's own box. 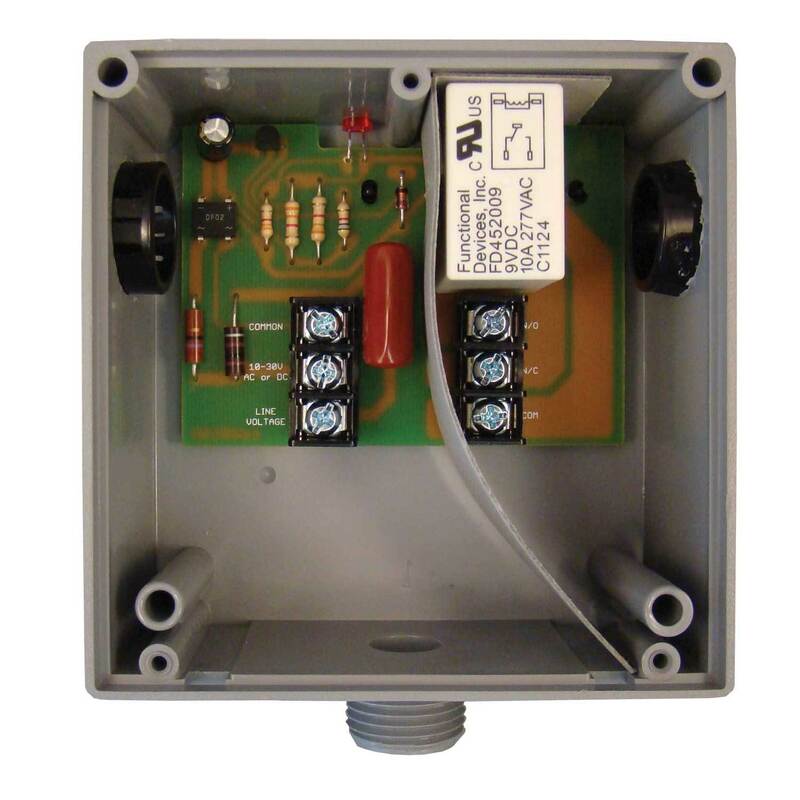 You don't have to worry about finding the correct socket and/or mounting it in an enclosure. It is ready to use right out of the box. Then, consider that it has a threaded stud for mounting it directly onto a knockout hole of an electrical junction box. That feature is really cool, and makes install a breeze. You can choose to mount it using the included screws instead, if desired. And, it also has a circuit separator to physically separate the input side from the output side. Therefore, if you do need to utilize different voltages on the input side and output side, you do not have to worry about any current from the "high voltage"side shorting over to the "low voltage" side! Finally, concerning the knockout stud and circuit separator, you can configure which wiring is accessible via the knockout stud. You can take the circuit separator out if both sides are working on the same voltage, or you can re-position the circuit separate to expose either the input side or the output side to the knockout stud, depending on which side the "high voltage" side. When you take all of that into account, this is an incredibly versatile relay that could be used in most of your home automation needs!